Being an island, and one with a lot of history at that, we’re blessed with our share of natural phenomena and some unexplained mysteries. 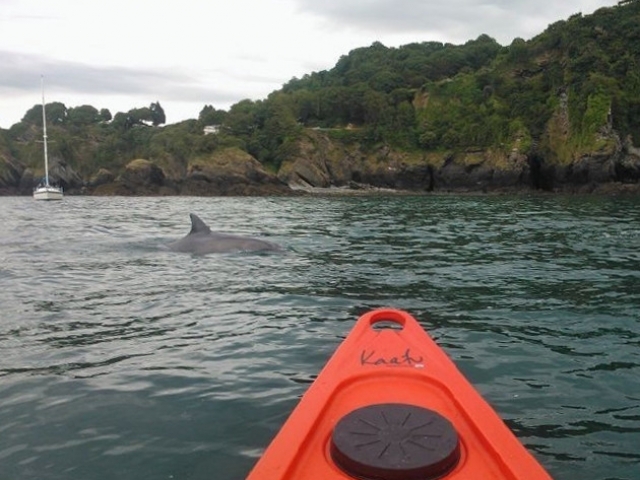 As its Halloween, we are covering a couple of spooky kayaking trips for you. One in the north, and one way down south! 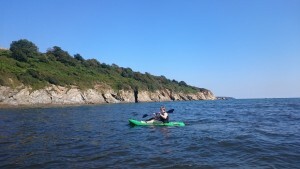 In recent years, Plymouth University students have recorded evidence of over 100 shipwrecks, partial or not, in the estuaries around Plymouth and South Devon. 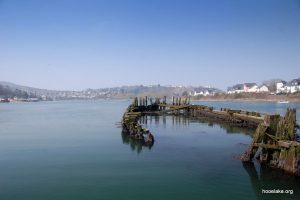 Hooe Lake is an important one, as it has one of the highest concentrations of wrecked boats – between 13 and 20! 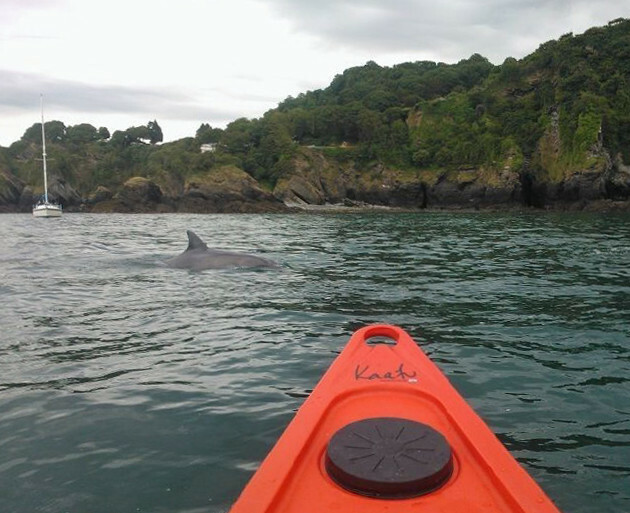 But there is a lot of reason as to why the situation at Hooe Lake could be considered creepy. Firstly, why such a high concentration compared to other places? And additionally – there is little information about a lot of the boats or their history, and so they remain the subject of much fascination. 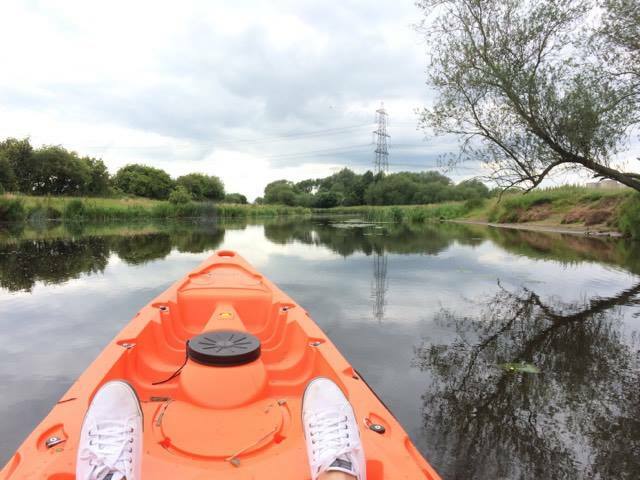 Perfect for some Fatyak investigation and exploration! 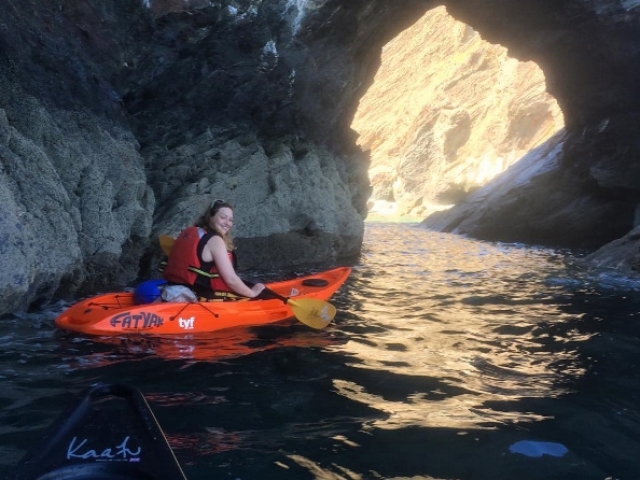 In North Pembrokeshire there is a labyrinth of tunnels carved by the sea that can be paddled through. Naturally, the accessibility of these caves is decided by the state of the tide! The way the light from above interacts with both the caves and the water creates a very spooky atmosphere. The water even turns an emerald green as you pass underneath low ceilings. 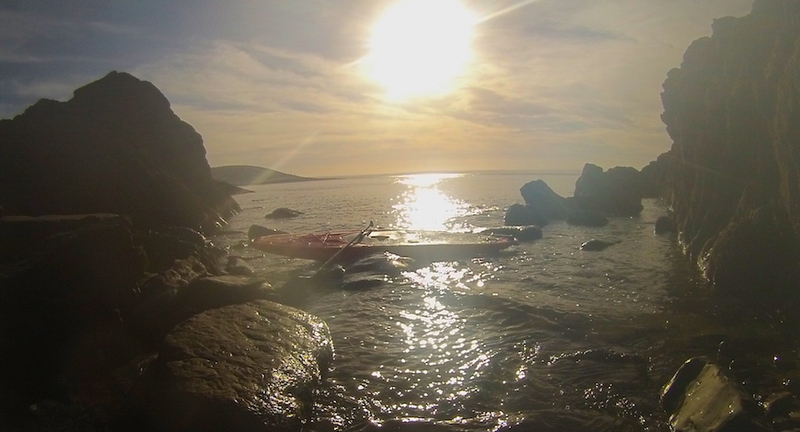 And when the tide is right, a room completely cut off by light becomes accessible, with room only for 2-3 kayaks. Eerie indeed – and not for the claustrophobic! Been to any of these spooky spots? Or planning to go to any ? Let us know! 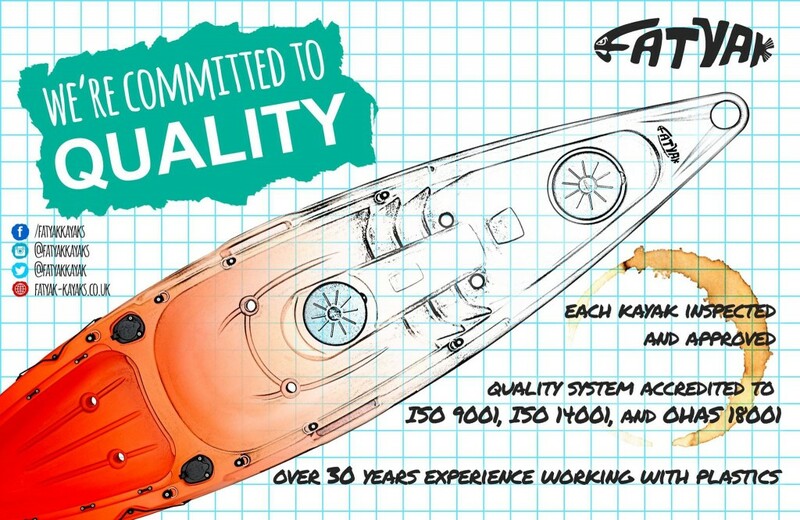 We feel as though we’ve come a long way since we launched our first kayak, the surf, around 7 years ago in 2009! Since then, we’ve built up a loyal fanbase (you guys! 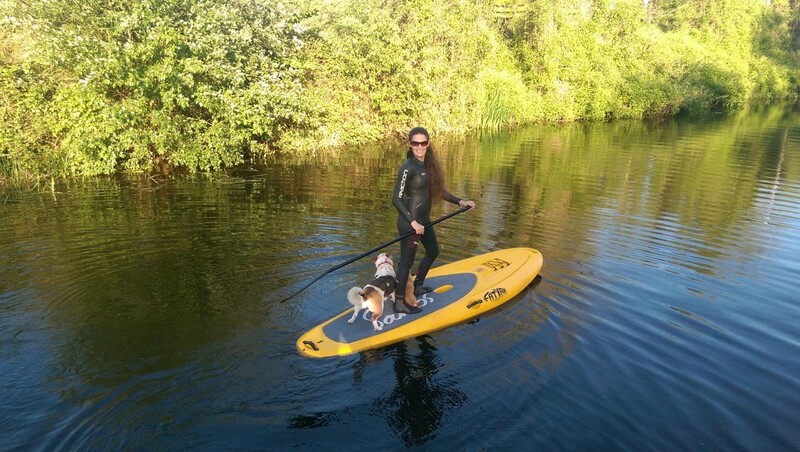 ), a fantastic range of kayaks for every application, the upgraded Adventure S series, the Hono board, and we are soon to release our first SUP board, the Samos! We’ve made this short video to celebrate some of the key milestones in our journey so far, but we feel like we’ve got plenty more to give yet! 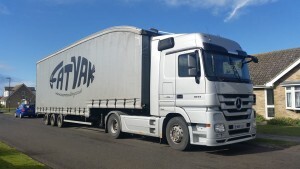 We’re always interested in hearing what you have to say regarding our current line-up, or any ideas you have for new products, so get in touch! 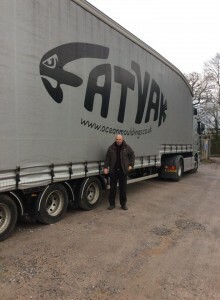 If you’re already a keen fatyak follower then theres a good chance you’ve already heard about our new Samos board, and perhaps even seen some pictures of it in development! 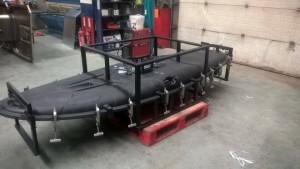 But for those who are as of yet, unaware, we are pleased to announce the very latest addition to our range. 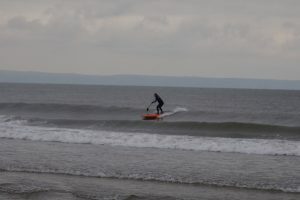 The Samos is a rotationally moulded stand-up paddleboard, born in effort to bring something new to the SUP arena which has recently exploded in the world of paddlesport. 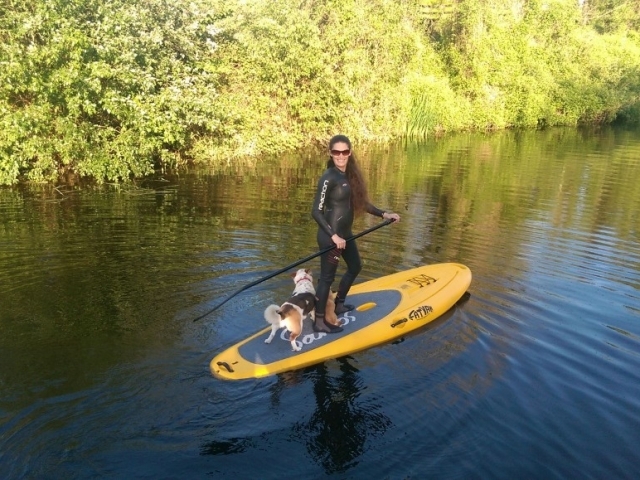 Traditionally, epoxy and composite boards are the natural choice, although with the continuing adoption of inflatable paddleboards, we wanted to do what we do best, and bring a fresh new alternative to the market. 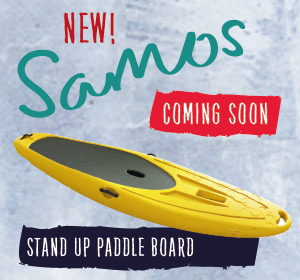 We had two main priorities in creating the Samos – firstly, to combat some traditional problems found in Rotationally moulded boards, and secondly, create a feel that was comparable to more expensive options on the market – making it suitable for beginner to intermediate level paddlers. 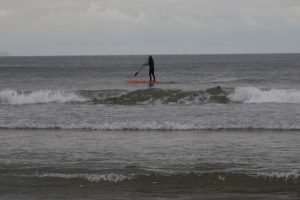 Typically, rotationally-moulded paddleboards have been problematic due to their evolution from a kayak design, making them impractical in shape and weight; often in excess of 25KG. The innovative design of the Samos targets both these problems in one. 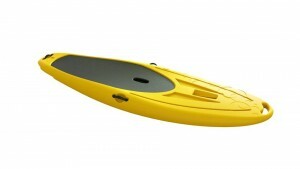 The unique wishbone features on the Samos works by acting against the natural yarding as the paddler strokes – which keeps the nose pointing straight; splitting below the deck to give support for a natural stance. In doing so, this has allowed us to produce a much thinner board than many standard rotationally-moulded boards, which means at 18KG the Samos is the lightest board on the market! Even still, the Samos still manages to boast an all-rounder profile, making it great for all applications from day play, and exploring, to fitness and fun on the waves. 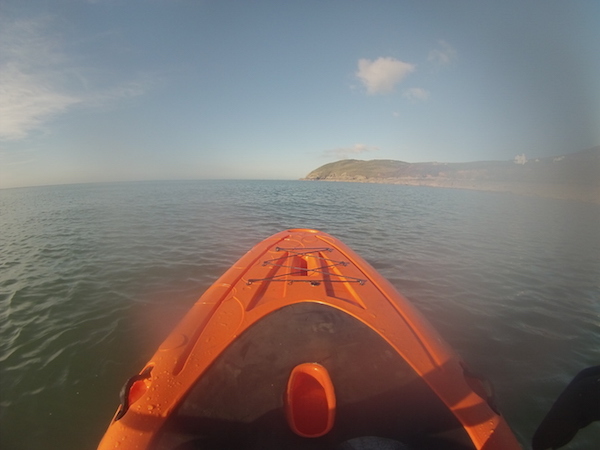 The Samos includes a wide set of features as standard, including branded carry handle grips and deck area, drain plug, bottle holder, paddle, straight leash, a custom 10.5″ fin box accepting all standard fins. 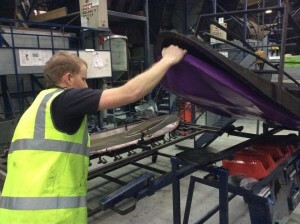 And, as always, you can be safe in the knowledge that it’s manufactured to Fatyak’s high quality rotational moulding standards; with no seams and no joints the Samos is manufactured using high grade, high density UV stabilised polyethylene; in accordance with BS7852 as well as our own procedures, in Somerset, England. Mo’s Kaafu, and how it came to be. 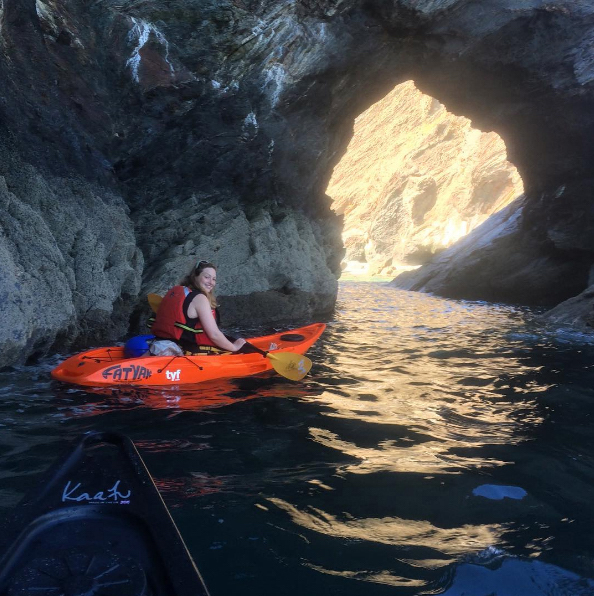 Being from a surf background beginning in Greece, Mo caught the paddling bug early on and soon had a go at sit-inside kayaking – a river, sea, and lake trip all based in New Zealand. 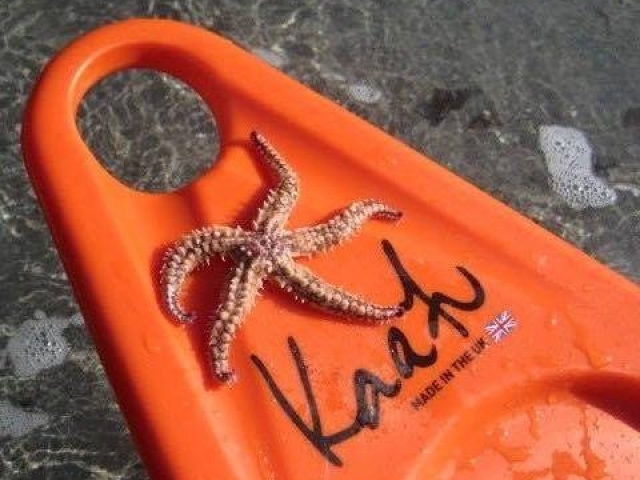 And, without further ado – found herself researching all flavours of kayak online. Mo told us she kept finding herself returning to the Kaafu – and why not? She noted its interesting shape, and the definitive contours underneath the craft, giving it the stability that the Kaafu is known for. 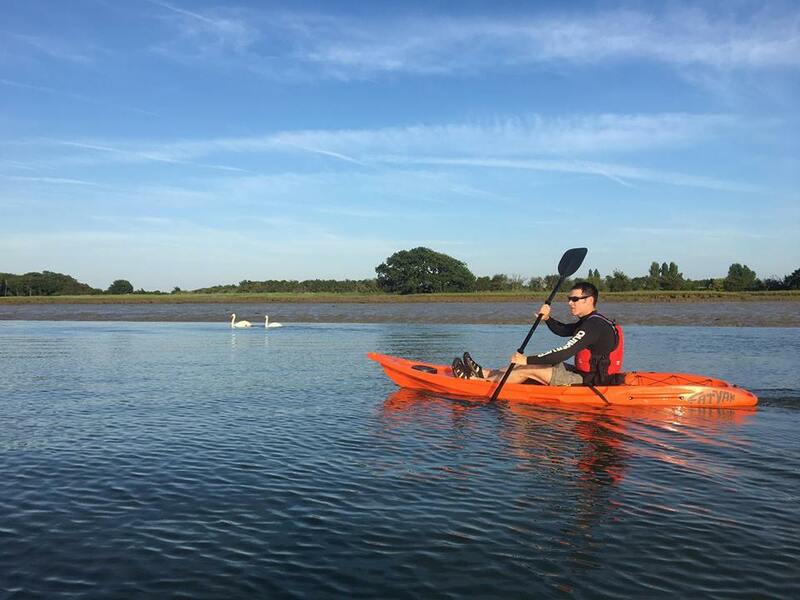 Speaking of happy customers, Mo mentioned the love for the kayak that current customers already had, seen in a multitude of glowing reviews. Last of all, she noted how well priced it was. Curious for a second opinion after continuing the search looking at kayaks in shops, Mo spoke to a dealer who made a solid point, particularly relevant for Mo. 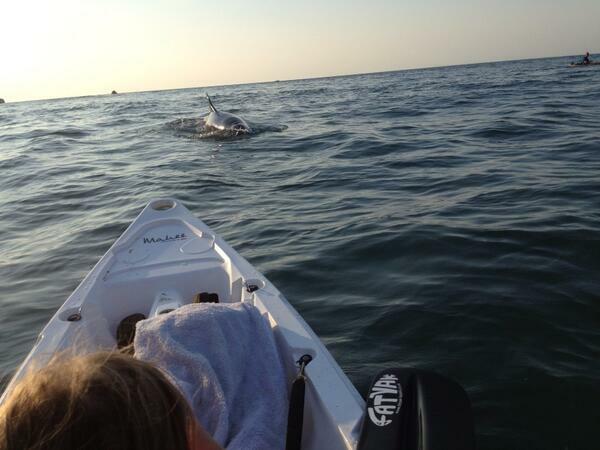 If she was indeed to be kayaking alone, a sit-on-top was, in the dealer’s opinion, the only way to go. 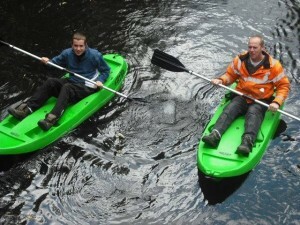 The reason being – should the boat capsize, a traditional kayak would need to be swam to shore in order to be emptied of water before usage continued. 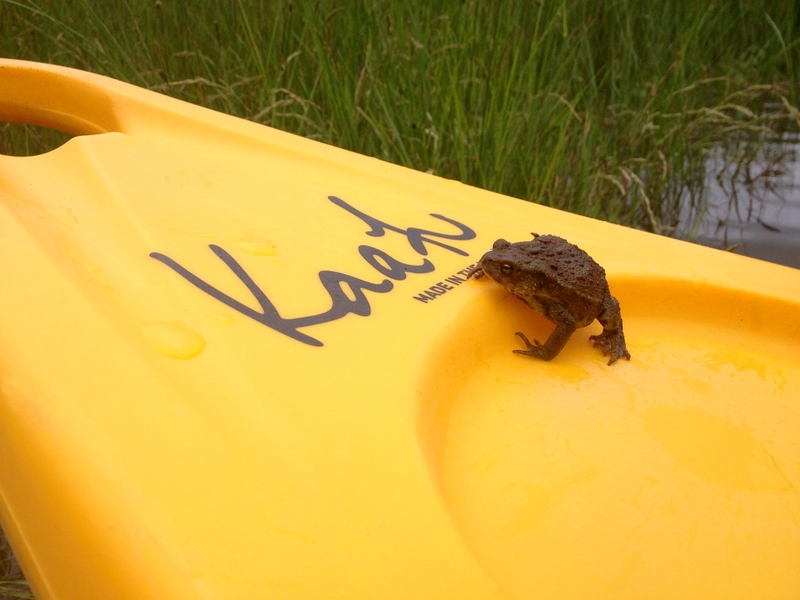 However, a sit-on-top design (like the one employed by all Fatyak™ kayaks! ), meant that you simply had to clamber back on-board. Being from a surf background, this point resonated rather well with Mo, and the search continued. 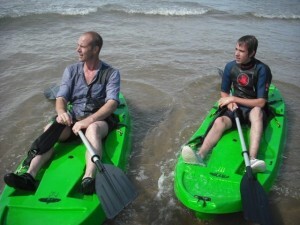 Mo found a local company, Fluid Adventures, which had one of our Kaafu kayaks on trial. 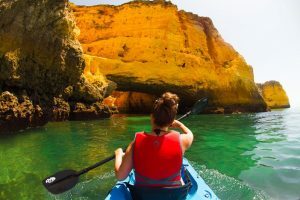 She hired it for an hour, and sure enough, she found that it paddled very well for a beginner, and that she could lift the front end with ease – something that she noticed was not a universal feature for kayaks in her search. 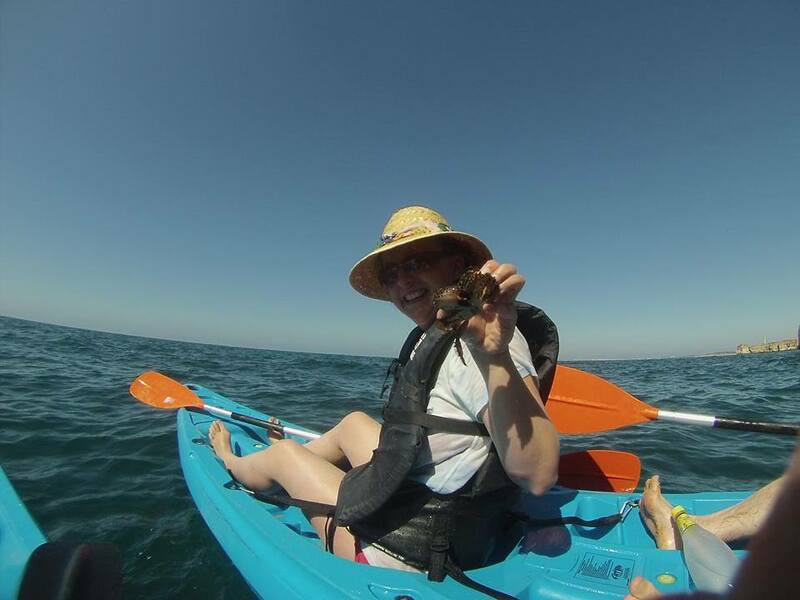 At 5’3”, and being no spring chicken with a tall car and roof rack to mount the kayak on, she knew it would be manageable. 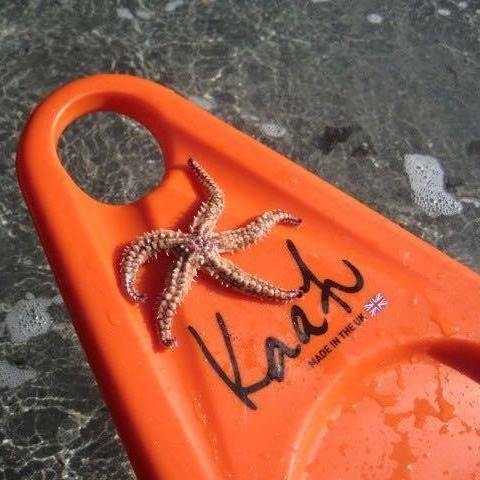 Promptly receiving her Kaafu a week later, Mo found that it loaded very easily onto the car, and out on the Solent, found it stable and fun to paddle. 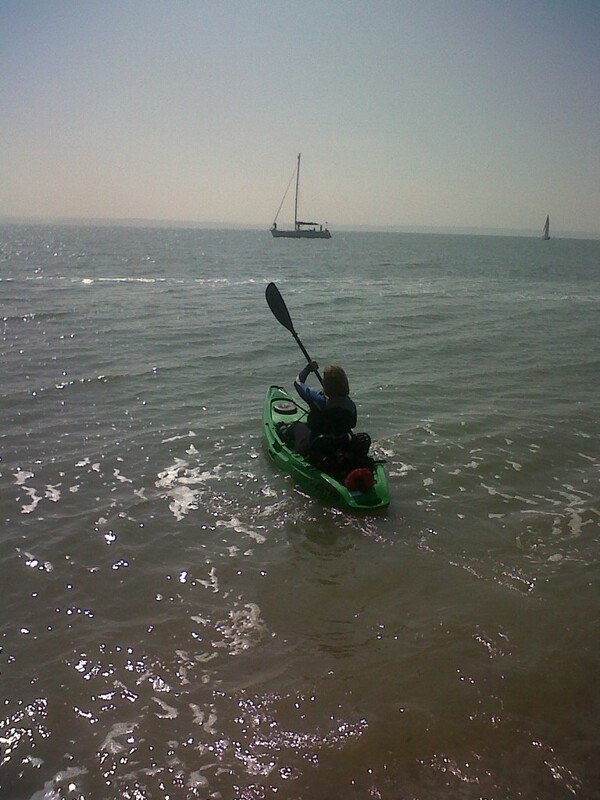 Mo also gladly found that she fitted into the current kayaking trend – as the green Kaafu she purchased was matched by plenty of other green kayaks being purchased by youngsters too. Good job Mo, and keep fatyaking! 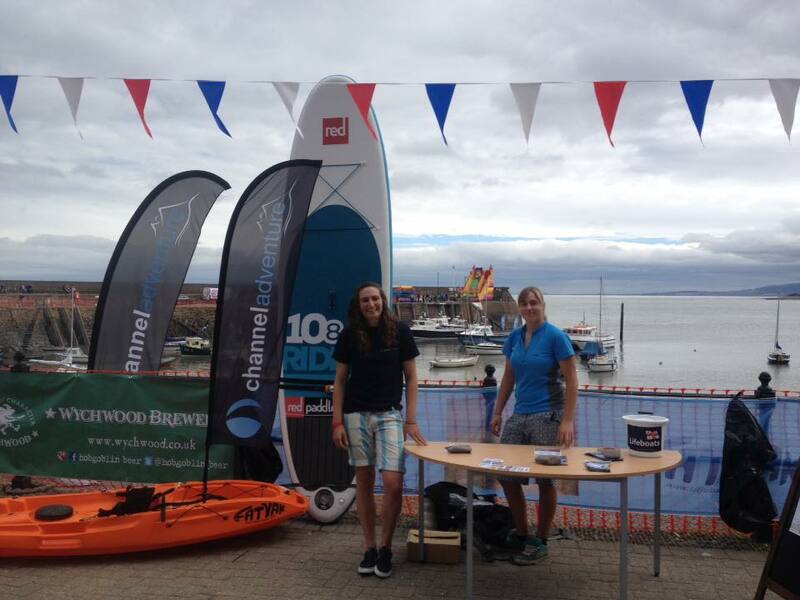 Last weekend we got involved with hosting the Minehead Harbour Fest (link) – bringing #fatyaking™ to Minehead Harbour with taster sessions and Fatyak™ races – with £500 for the winner. 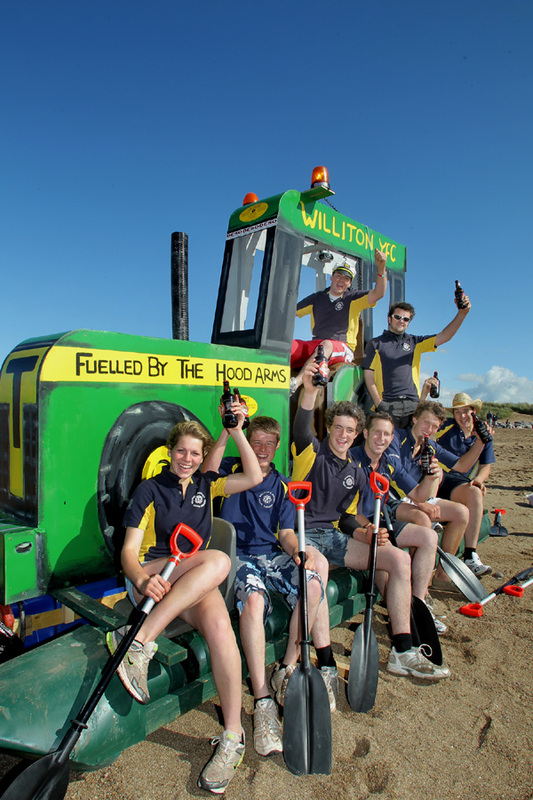 Minehead Harbour Fest is a new concept for 2015 born from the RNLI Raft Race – an event that has been running for 35 years along the coast from Blue Anchor to Minehead. 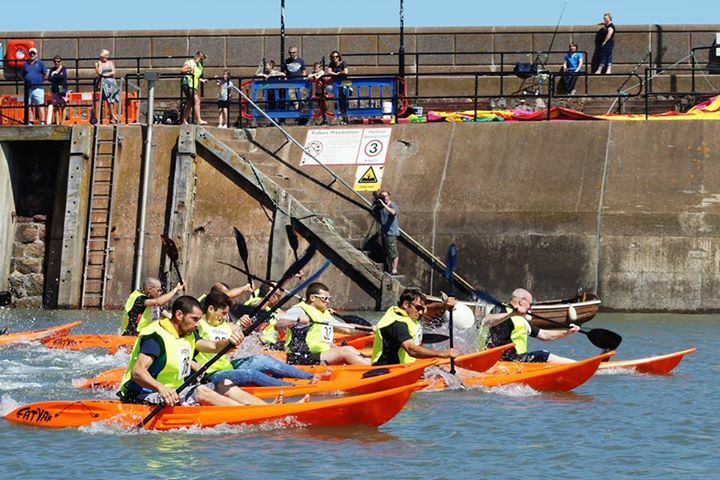 This year the Raft Race was developed from a one-day to a two-day event on the Harbour full of live music, fun on the water, and street entertainment for the masses to enjoy. 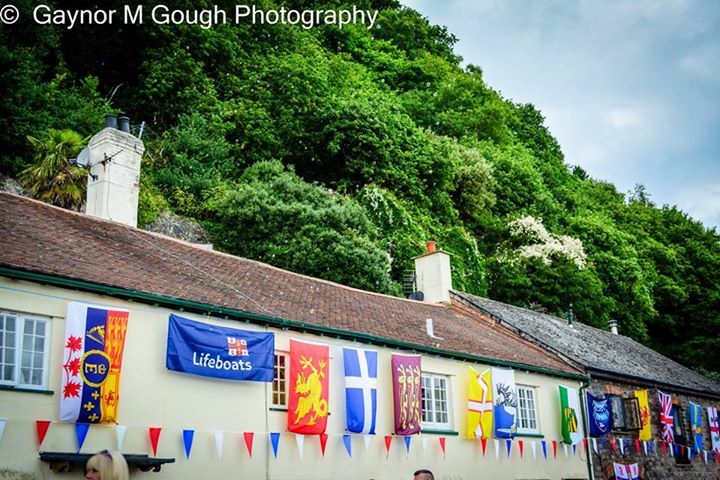 The festival was run in association with our own selves, and The Old Ship Aground pub, located right in the thick of the action. 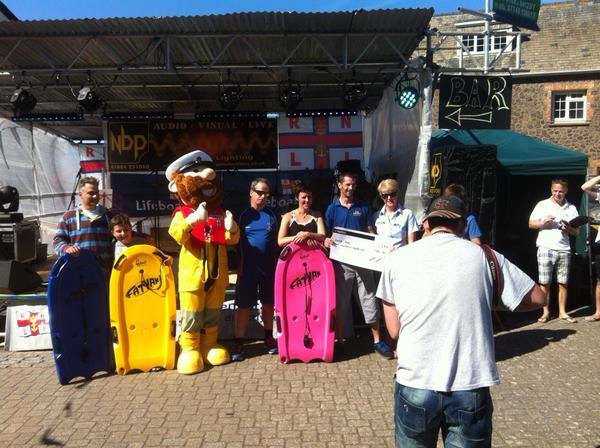 As well as providing a weekend of fun, the aim was to support money for the RNLI who obviously play an invaluable role in all that the weekend stands for. 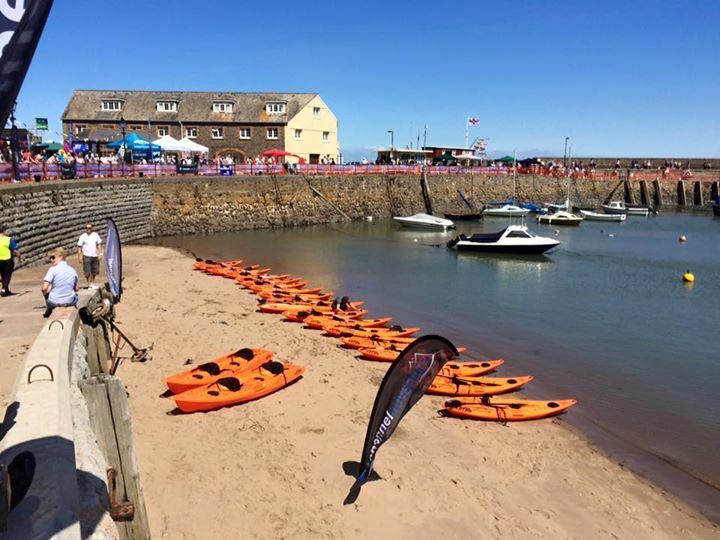 This new concept was a spectacular success this year, with the finest local paddlers being pitched against each other in pursuit of a £500 prize – all in our very own fleet of fatyak™ kayaks down in the harbour. 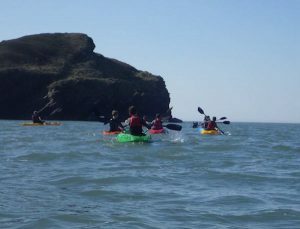 The amount of registrants increased exponentially on the day as the hype began to build, with Steven Dodd, Special Olympics Kayaking Twice Silver Medallist amongst the mix, and the atmosphere was fantastic – with some extremely exciting paddling and weather that could not have been better! The course consisted of a sprint out to a buoy just past the harbour area and back, made up of 3 heats, with safety monitoring kindly provided by the RNLI team. 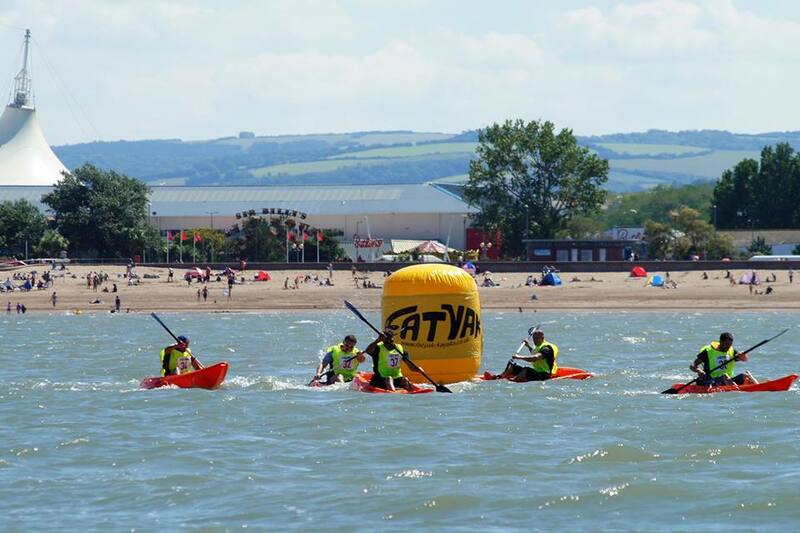 The main event of the Sunday was, of course, Minehead’s beloved raft race! 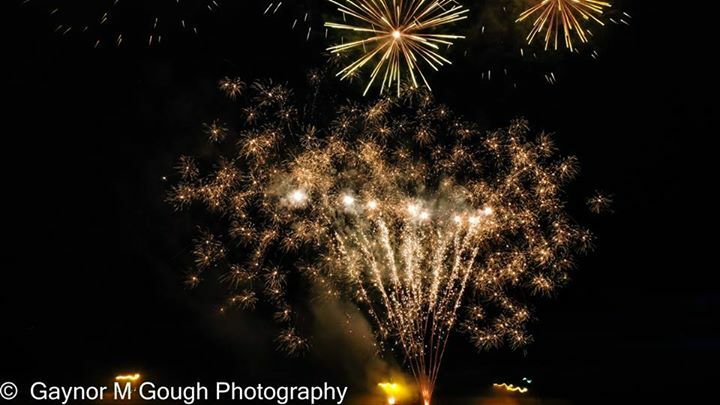 The course was shortened this year due to safety concerns, running from Butlins as opposed to Blue Anchor but the event was just as legendary as ever with teams from as far as Hertfordshire entering the pro race. 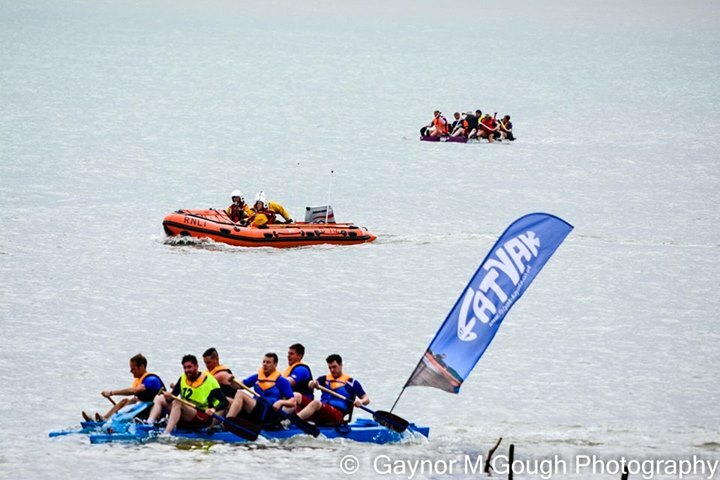 As well as the professionals, we had teams consisting of the Minehead Barbarians rugby squad, Staff from our local Tesco supermarket, the “blind mice” from Minehead Specsavers and many more all bashing hulls in the fun race! 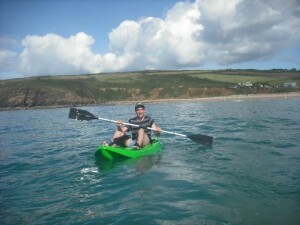 Not to mention Fatyak™ Kayak’s very own raft which also competed in the pro race. The Fatyak™ Team Raft tearing it up! 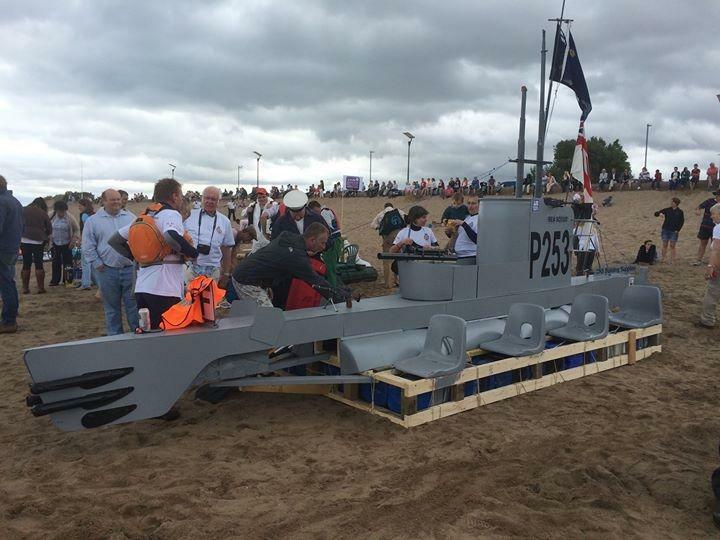 Teams competed for an array of prize categories including most original raft, the pub challenge, best fancy dress and the first local crew – full details of which will be included in the end of this post. 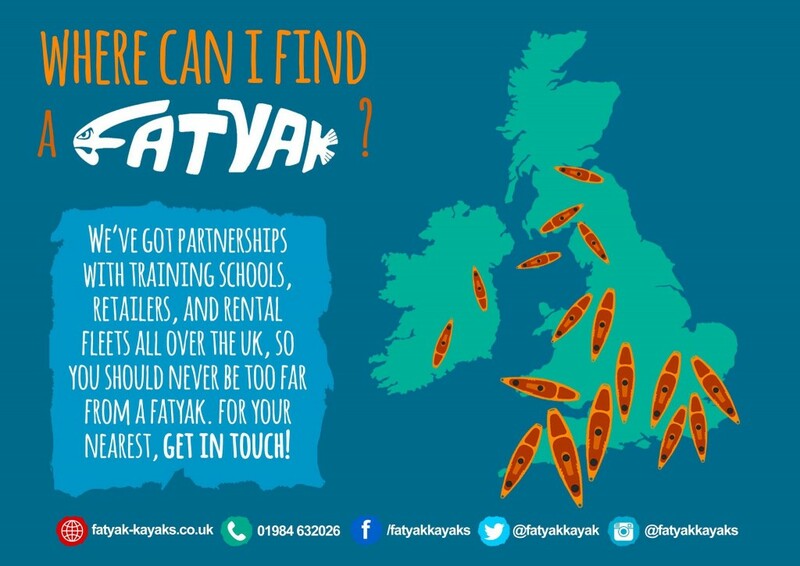 While the Raft Race was underway, back at the harbour we were running Fatyak™ taster sessions – we were fully booked with keen fatyakers™ for the majority which was absolutely great to see, especially since so many had never been on the water before! 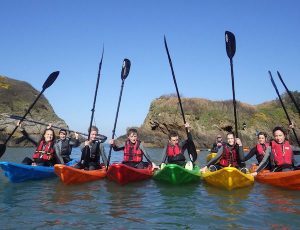 We were helped hugely by Channel Adventure in keeping everybody safe and allowing a fun and informative session to take place. Tying together the burbling atmosphere of the weekend once the sun began to set was, of course, the fantastic live music acts organised by The Old Ship Aground including The Thatchers, Soulville Express, Pearl & The Diamond Geezers, Acoustic Roots, Little Betty, and The Salt Flat Rats – all with added music and entertainment by Tone FM DJ Drew Haddon. Commentary was provided to contextualise the action throughout the daytimes by Drew Haddon and Josh Searle of Tone FM, with a link from Phil Sanderson of the RNLI from the Safety Boat – keeping the masses updated regarding life on the water. 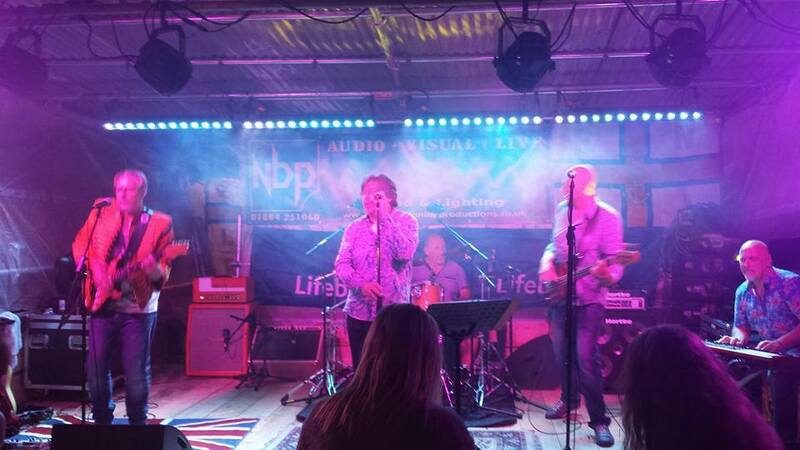 The staging and lighting provided by NBP Sound and Lighting Hire lit up the harbour once darkness fell, providing a brilliant backdrop for the selection of bands on offer throughout the weekend. 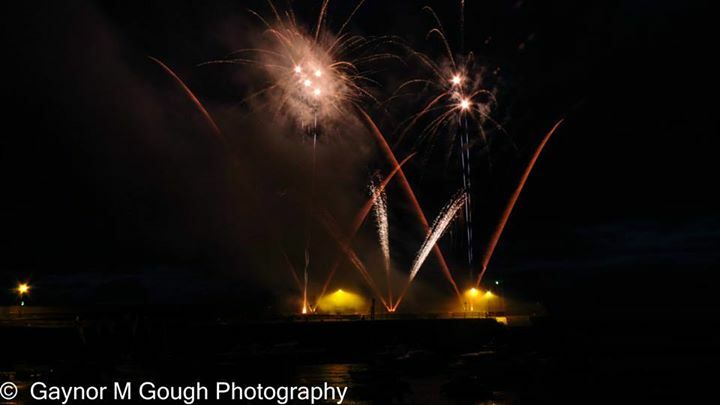 And speaking of lighting up the harbour, with help from an array of firms, a spectacular firework show was funded and put on display for the town to enjoy. 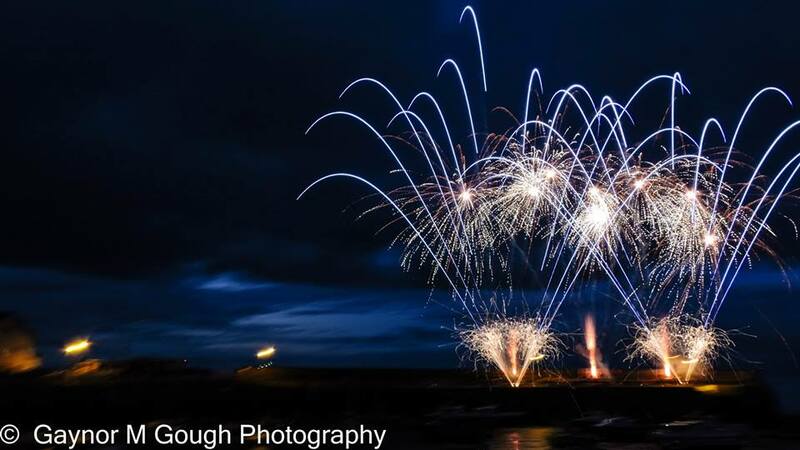 A huge thanks again to the RNLI, whose work encapsulates the spirit of everything the weekend was about, as well as The Old Ship Aground for their never-ending support of the event, and being the lifeblood of culture on Minehead Harbour. 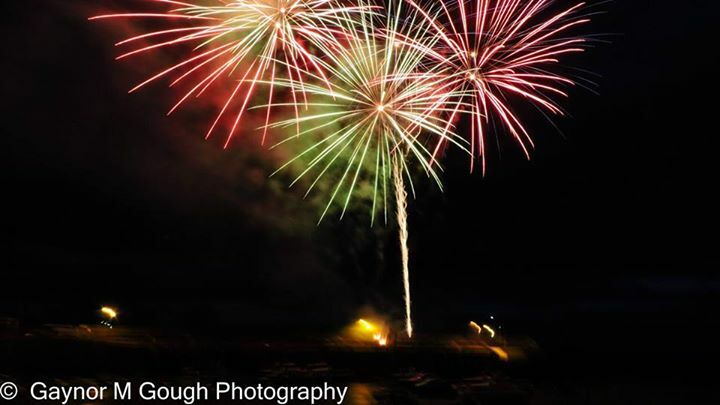 See you all again next year!